A Manchester University professor, Scott Humphries, was nominated for the prestigious Arts United award for outstanding arts educator. Marshall White, received the Margaret Ann Keegan Award last week. He is CEO and founder of the Unity Performing Arts Foundation and director of the Voices of Unity Youth Choir in Fort Wayne. 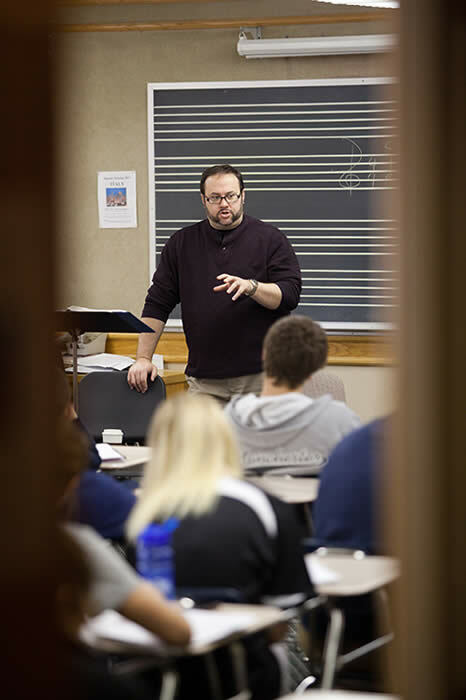 Humphries is an assistant professor at MU, where he is director of Instrumental Studies and Music Education, conducts the Manchester Symphony Orchestra and MU Symphonic Band, teaches all music education classes, and is also the saxophone professor. He is principal conductor for the Fort Wayne Area Community Band.